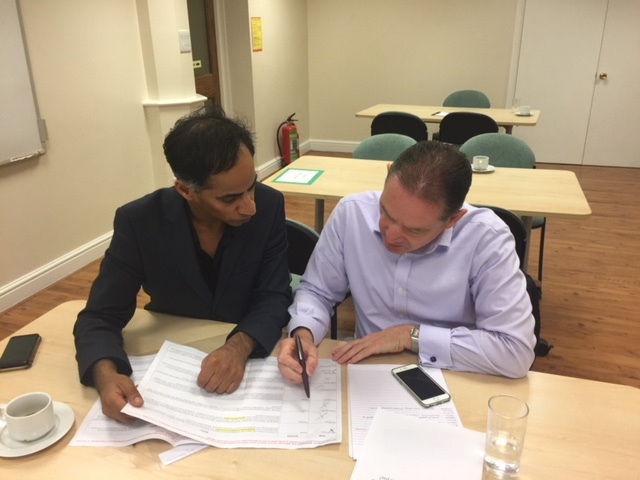 Growing Talent 15 – Final Programme of 2017! 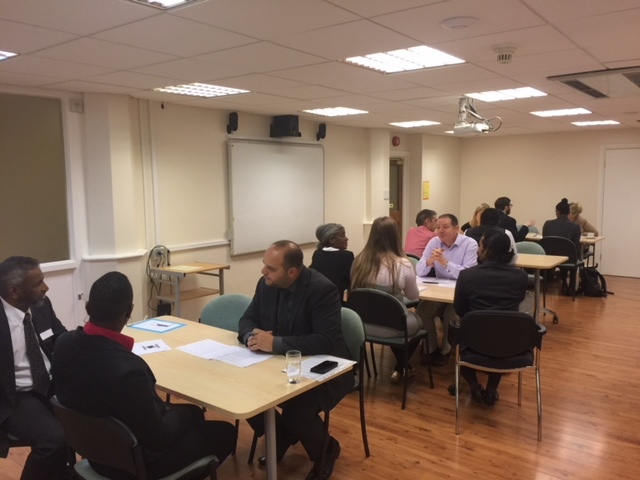 After a week of interviews with applicants selected directly from JobCentre Plus South London Team, we had 16 applicants attend the first round of employer selection on Monday 18 September…..
At this stage employers are only looking for personalities – not fit with their jobs. 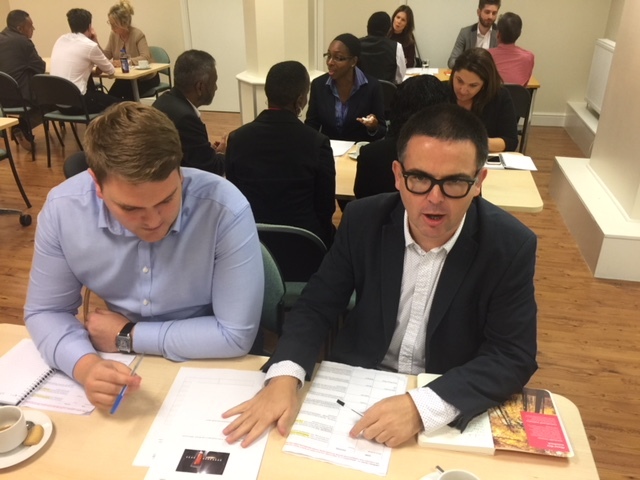 Walking around is Amy from Principal Hotels looking to take part in 2018…..
Old hands at Growing Talent – Tom and Jordan – below – from Mitie Connect are looking for a Fulfilment Assistant to replace Kit who joined them on Growing Talent 4 almost two years ago. Kit has decided to return to University to undertake a Masters. Tom and Jordan return Wednesday 20 September to meet their shortlist and discuss a potential match with their role. A Government funded agency attended to recruit two roles. Unfortunately their business and management is not conducive to the Growing Talent model and they will not be taking part going forward. Acuity Services – part of Axis Group, Acuity focus on front of house operations for corporates. The are looking for a team member to join their Select team covering holidays and sickness at different locations. 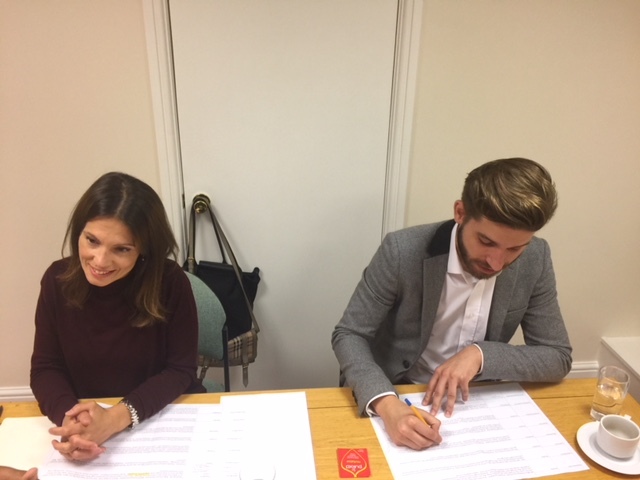 Below is their CEO Chiara and Select Team Lead Michael. Michael knows Growing Talent very well from his previous employment. 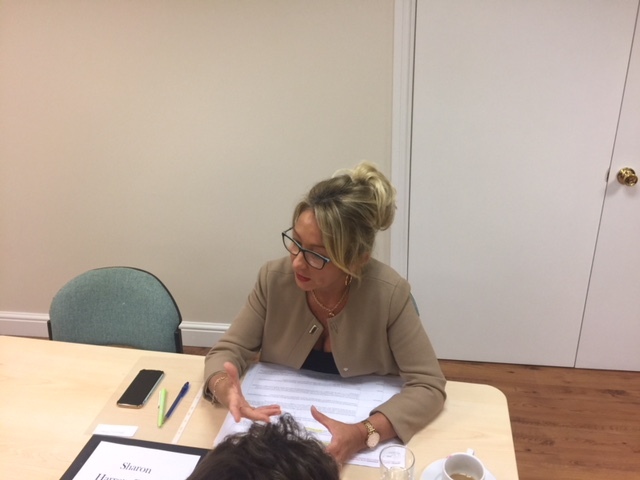 Sharon of Harrow Green has employed over 30 people through Growing Talent. Many have been promoted within the business and some have been there since the beginning of Growing Talent – talk about commitment! Sharon has two office roles to fill – watch this space! Rob & Dan, seen below, are two new managers from Baxter Storey. Although the company has taken part before, Dan and Rob haven’t – it was a moment of discovery! Both enjoyed the experience and have a shortlist to match their jobs to. Will they select anyone? Pertemps are also long time supporters of Growing Talent. 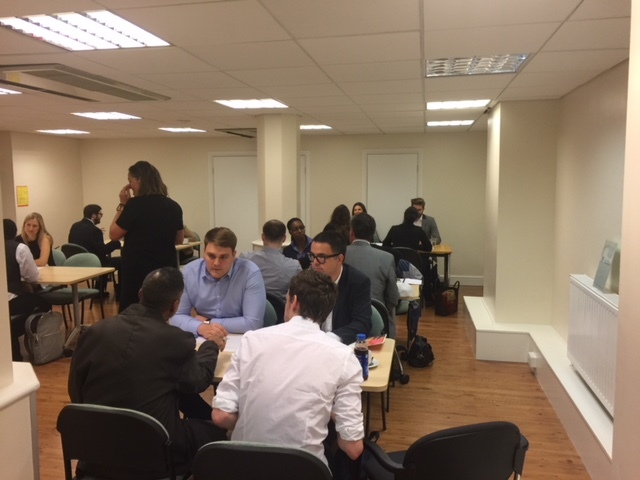 They not only take people on as Recruitment Consultants or Resourcers in their own business but look to help any who aren’t selected to go forward on Growing Talent. Pedro is back to select a Resourcer for his team. 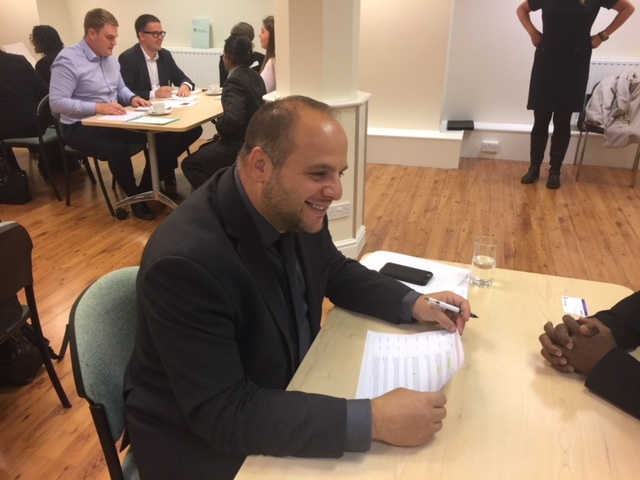 Helen – part of the HR team at ME London Hotel, took part for the first time although her colleagues have attended many times before. Helen found the whole experience different and exciting. She has a shortlist for the three roles she is looking to fill. 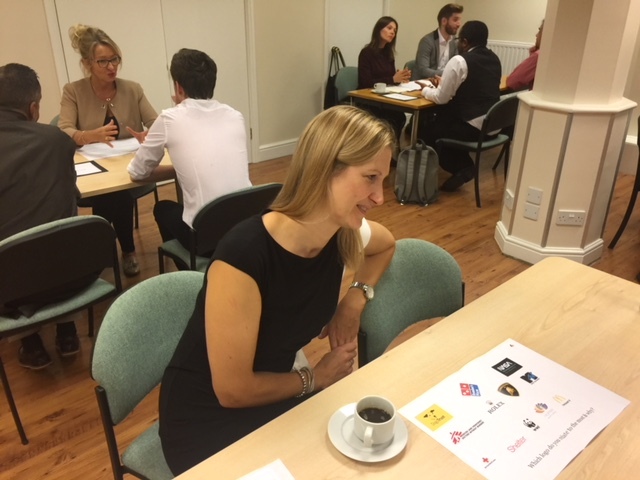 Amy – part of the HR at Principal Hotels – Amy dropped in to see Growing Talent in action. Their London hotel in Russell Square opens this winter. She liked the set-up and is going to take part in the January 2018 programme! Great news. 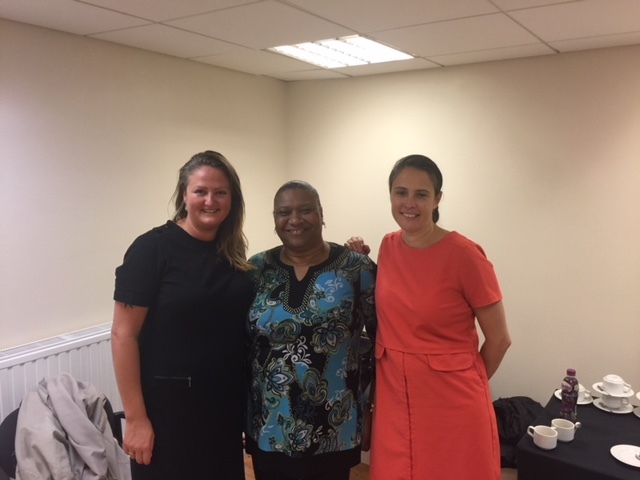 Seen below on the left with Jacqui and Anna – Job Centre Plus lead managers.